Phantom offers in the GTA have become such a problem in the hot Sellers market, that as of July 1, 2015, an amendment to the Real Estate and Business Brokers Act, 2002 (REEBA) under bill 55, will come into force. The Real Estate Council of Ontario will require all brokerages representing Sellers to retain a copy of all Offers on a property, along with the newly designed FORM #801, called the “Offer Summary Document”. to create a paper trail in the event the Brokerage is called into question about the legitimacy of another offer. this amendment also prohibits all registrants from representing Buyers, unless the offer is in writing. 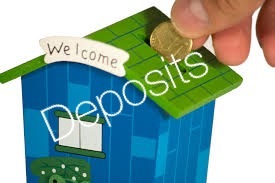 Deposits are a very integral part of a real estate deal in Ontario, as they show the Buyers good faith in closing the deal. A strong deposit can show financial strength of a Buyer and could help to be a deciding factor in the selection of a successful offer by a Seller when presented with multiple offers. For example, if a property is listed at $550,000 and the Seller is presented with 2 offers of $600,000, then the offer from Buyer A with a $25,000 deposit should seem a lot more attractive to the Seller than an offer Buyer B, with a $5,000 deposit. It shows that Buyer A has the cash available to put towards their downpayment, and are not relying solely on the equity in their home (which may or may not have already sold). It is important to keep in mind that the Buyers deposit does go towards the purchase price and is refundable if there is any issues during a conditional period (if your offer is conditional!). If you have any questions about the Buying process, check out our guide to the home buying process, by clicking here.